As you can see from our coverage, there's been plenty to see and report from the halls of the Frankfurt Messe at the first major auto show of the post-summer season. But while most vehicles were displayed prominently under the bright lights in the big rooms, tucked away at the back of a supplier hall sat one of the most intriguing debuts of the show. 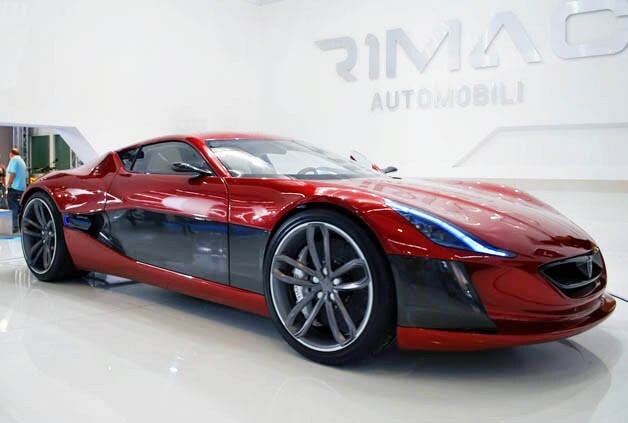 Its modest location isn't all that's unusual about the Rimac Concept One. And when we say "unusual," we mean "all kinds of awesome." From its headquarters in Croatia (of all places), the electric propulsion upstart has crafted quite the stunning show car. Its drivetrain is localized at each corner, with four individual motors teamed up with their own inverter and gearbox for each wheel. The package reminds us of elements from the Devon GTX, Jaguar C-X75 and Koenigsegg – good places to start, all – but without looking derivative as independently made supercars often do. And while many concept cars pay little attention to the interior, this is another area in which the Rimac doesn't disappoint. The cabin was styled by a team of former Pininfarina designers, and then outfitted by Vilner. The Bulgarian leather crafters regularly trim out some of the most stunning interiors this side of the QE2, but have outdone even themselves with this latest project. But don't take our word for it. Have a look for yourself in our gallery of live shots from the show floor, the second gallery of stock images and the brief press release after the jump. You won't regret it.